McALLEN — City Commissioners voted Monday to resubmit an application to Gov. Greg Abbott’s office for a $719,000 immigration humanitarian aid reimbursement. The city first submitted an application to Austin more than a month ago, which Abbott’s office then forwarded to the Federal Emergency Management Agency. But city officials said FEMA requested some clarification, which is why the city needed to submit another application. Mayor Jim Darling said he is unsure when McAllen will receive the funds, but hopes it will be soon. The governor’s office is “charged with awarding FEMA funds to reimburse jurisdictions along the Texas/Mexico border for costs incurred by the influx of unaccompanied children and families …” the application states. McAllen has spent this money on humanitarian aid since 2014, when tens of thousands of migrants came to McAllen upon crossing the border. 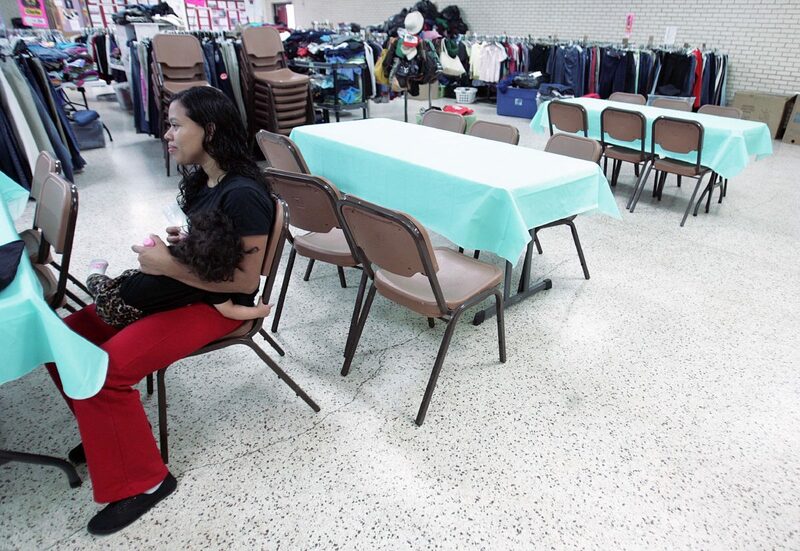 Those migrants were apprehended by the Border Patrol and then dropped off at the Humanitarian Respite Center at Sacred Heart Catholic Church in downtown McAllen. The church no longer temporarily houses immigrants. Catholic Charities uses another nearby space. The number of migrants crossing through the city has also dropped significantly. “We’ll continue to seek reimbursements,” Darling said at a November 2016 city commission meeting. “Until the United States decides to do something about its immigration policy and foreign policy in Central America, we do think it’s a continuation of the process. CBP cooperates with us; otherwise we’d have people walking around the city of McAllen at night with no place to go, and/or worse. U.S. Rep. Henry Cuellar, D-Laredo, grew frustrated multiple times with Abbott’s inability to direct the reimbursement to McAllen. “ I understand that there was a misunderstanding between the Federal Emergency Management Agency and the Governor’s Office that led to the assumption that the use of FEMA’s State Homeland Security Program federal funds to reimburse communities was not allowed,” Cuellar wrote in a July letter obtained by The Monitor. “I have since contacted FEMA to provide further clarification to the State of Texas stating that border communities are allowed to be reimbursed for their humanitarian assistance going back to 2014. “There is, now, without a doubt clarification that the State of Texas can tap into its average of $20 million a year from the State Homeland Security Program’s federal dollars to reimburse our communities,” the letter stated.